The partition of Ireland not only divided the territorial integrity of the nation and its people, it also led to the underdevelopment of politics on a left-right axis. Partition broke up the national movement for independence and the civil war which followed ushered in an era in the 26 counties where politics was dominated by two conservative parties, Fianna Fail and Fine Gael. 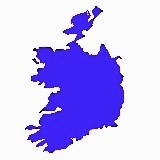 Fianna Fail became the political home for the vast majority of people who aspired to live in a united Ireland. Armed force republicans were left to shoulder the burden of reuniting the country by challenging the unionists as they consolidated their hold on the six counties through a one-party state shored up by a battery of repressive laws. In the general election of 1918 the Labour Party was correctly asked to stand to one side in the interests of the national project - the freedom of Ireland. From that point onwards, although organised Labour played a significant part in the war of independence, the Labour Party left a resolution of the national question to others. This stance ill-served Labour’s working class support base most of whom supported the war of independence with many active in it. The importance of a united Ireland to the Irish working classes, urban and rural, was reflected in James Connolly and the Irish Citizens Army joining forces with Padraic Pearse’s Irish Volunteers in leading the 1916 Rising. Connolly and Pearse represented the unity of two of the most significant popular movements on the Irish political scene at the time - the national and the social. From partition until the signing of the Good Friday Agreement republicans were left with no other viable alternative to reuniting Ireland other than through armed struggle. With a viable political alternative now in place republicans are in a position to peacefully pursue a united Ireland. In his address to his party’s Ard Fheis two weeks ago Sinn Fein president Gerry Adams called for a national revival and a new alliance for change to overcome the economic crisis and to lay a national foundation for the achievement of a united Ireland. He especially urged the Labour Party not to “prop up” either Fianna Fail or Fine Gael but rather to “explore with us and others the potential for cooperation in the future”. He identified the “others” as coming from other smaller parties like the Greens, trade unionists, women’s groups, community activists, Gaelgeoiri, rural and fishing communities, students and the unemployed. Describing Ireland as being at “another historic crossroads” Gerry Adams said that decisions had to be made “about the core values of our society”. He said these core values should be based on social justice, fairness, equality and decency. He argued that the economy should serve the public good and not private greed where a two-tier society penalises working people while the rich and super rich enjoy extravagant lifestyles. He contrasted the selfless patriotism of those who set up the First Dail 90 years ago, with their commitment to liberty, equality and justice for all, with people like the Minister of Health in the Irish government earning E230,000 annually and other senior state officials earning E320,000, more than the president of the US earns! While businesses were closing at an alarming rate and thousands of people were losing their jobs every day payments of this nature were obscene and should cease he said. Gerry Adams accused successive governments of “squandering” the wealth generated by Irish workers, of failing to invest the wealth of the Celtic tiger in the health service, in schools, social housing and public transport, in a stable economic infrastructure and of failing to tackle disadvantage, poverty and inequality. The ethos which accompanied the Celtic tiger was based on greed and consumption; a society whose political and business leaders encouraged a never-ending spending spree pandering to people’s worse instincts; people who were vulnerable to the spectre of poverty and emigration hanging over them; people encouraged to believe that everything could be bought including economic security with, believe it or not, plastic money. In facing the challenges ahead he drew on his experience of making peace in Ireland.